As I do this time every year, I take some time to work on my goals and lay out a plan for the new year. As part of that process I reflect back on this past year and make some predictions about the year to come. I just want to start out by saying that I am so grateful to God for bringing so many opportunities and wonderful people into my life this past year and I look forward, with God’s help, to continue this progress into 2014. It’s been 2 years since I lost my community pharmacy job and to date I never found another position in community pharmacy. I did land a consulting pharmacy contract. I am very happy in this position because it provides me with plenty of time to continue to grow my business. I mentioned last year how I made some connections with some high income earners that took me under their wing. 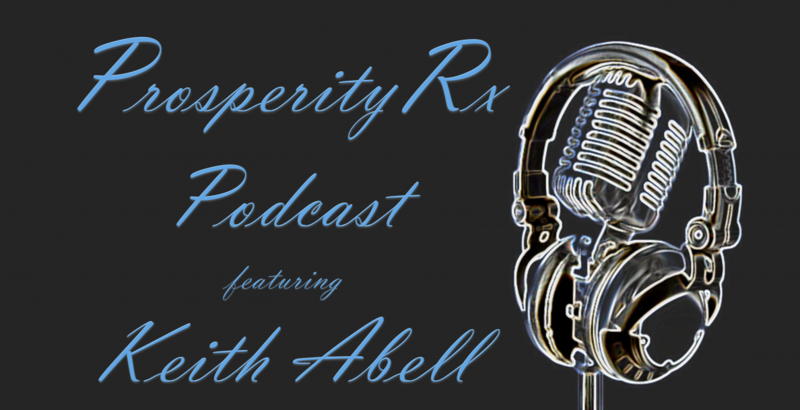 With their help the home business I started continues to grow. My team has grown to nearly 100 team members and 200 customers in the past 12 months, giving me the ability to show others how they too can create additional income and create time freedom for themselves and their families working from home. My blogs are doing well with over 29,000 page views, 222,000 video views and over 1.7 million minutes of videos watched. My team and I have taken an active part in 6 different expos in 4 states and have hosted many more speaking events where Dr Wallach, Brandy Brogdon and I have been the featured speakers. I’ve produced several radio spots and look forward to expanding my role in radio with some guest appearances in 2014. With all these accomplishments over the past year what excites me most however are the stories from so many people that have expressed gratitude over the improvements they have seen in their health by following the advice of Dr Wallach and taking the 90 for life challenge. Now looking forward to 2014, There are so many different economic indicators and events that are still coming together, the possibilities for 2014 are overwhelming. As a good friend of mine and one of those high income earners I mentioned says, “to create true wealth, you need to position yourself in front of a trend.” Guys that is what has me the most excited. A lot of trends are still coming together and I believe for the first time in my life I am in the right place at the right time. The healthcare reform is much worse than any of us predicted. Millions of people are losing their health insurance coverage. Also companies faced with higher cost because of healthcare reform continue to reduce their work-forces. We are seeing an unprecedented number of people in the healthcare field lose their jobs. Also as a result of these problems I believe the stock market will be very volatile quite possibly losing much of the gain it has experienced recently. News college graduates continue to not be able to find gainful employment and many of them are deep in student loan debt. I don’t usually do this but one of my mentors in this industry recently made a video blog on this subject so I wanted to share it with you so I included a link to it along with this blog. 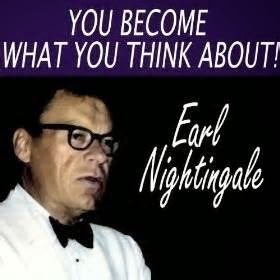 I’ve been in the marketing business most of my life and I have heard different versions of what Earl Nightingale said but I never really understood it until last year when I watched a movie called “The Secret.” After I watched this film I reflected on the ideas that where expressed about the law of attraction. I began to understand just how powerful our thoughts are; just how much what we think about affects our lives in every way. I began to see examples of this idea in scripture, I began to see how people like Joyce Meyers and Joel Osteen are able to tap into this concept with their motivational sermons. There are so many things today that consume our thoughts. I know that in my own life I have found that when I changed what I thought about most; when I began to concentrate on what I wanted to achieve or have, instead of concentrating on my failures or what I lack; only then things began to change. Believe me, when you are unemployed there are lots of things you lack in your life that you can dwell on but I decided throughout the entire ordeal I would concentrate my thoughts on what I wanted to accomplish in life; to concentrate on all the things that I wanted to become and to have. I felt better every day. I had purpose. I felt as though I could have or become anything and with that new mindset I saw opportunities before me that I would have never seen otherwise. I met people that would make a difference in my life, people like Dr Wallach and Brandy Brogdon, I would have never met them had I not been concentrating on future success instead of present or past failure. This idea has really consumed me these past couple years. “You become what you think about most of the time” begs to answer the question, what do I think about most? A job? More money? Things? Time freedom? So what do I want? Where do I start? So that’s where I started. I looked at where I’ve been and where I would like to go in the future. Albert Einstein once said “Insanity is doing the same thing over and over again and expecting different results” so I asked myself the question, if I keep on doing what I’ve been doing will I get there? So a year ago I took a leap of faith and teamed up with all of these fine people because as I saw it, as Napoleon Hill also said “The person who takes no chances generally has to take whatever is left when others are through” and I was tired of the crumbs that where left over. I was sick and tired of working long hours making others rich while I clung on to the hope that I would be able to keep my health. Why? So I can work for them until I died or until they decided I was no longer of use for them? \Well it has been a year now since I began following these folks and became a part of their team and I have created a steady stream of income; a residual income; an income that continues to come in despite the fact that I have taken some time away from the business these last few weeks to do some personal development training and planning for next year. A stream of income that will continue to grow until I replace what I used to make working 70 hours a week for someone else. To have that freedom is what consumes my thoughts most now. Freedom to spend time with my family and not worry about my income. Freedom to not be owned by a corporate job. Freedom to become all that I can become while helping others. As Walt Disney said, “If you can dream it, you can do it” and I have now proven to myself that I truly can do it. Do you think about the things you don’t have? Your lack of financial means to do the things you want, to have the things you desire? Are you consumed with thoughts about your debt? Maybe you think about and worry about your health, how you can’t seem to lose those pounds you want to shed. Maybe its your high blood pressure or diabetes. Or maybe you think most about your lack of time; time to spend with your spouse or children. That field trip you missed and the weekend scouting or sporting events you weren’t able to attend. Are your thoughts consumed by your job, whether or not you will get that promotion, or constantly worried about whether or not you will keep your job or even be able to find another job? I think for most of us, certainly for me, what it came right down to is Freedom! I wanted freedom and my guess is so do you. You want to be of value, to make an impact. What would it feel like to be free? What would it feel like not to have an alarm clock? What would it feel like to take your son or daughter to the dentist without asking your boss’s permission? To go to that school play or Christmas pageant? There is an even bigger question though, WHO do you want to be? What really changed for me is when I asked myself that question. I no longer wanted to be a statistic, working 70 hours per week; trading my time for money. I no longer wanted to be someone that questioned my worth. I no longer wanted to be someone that moped around and just wasn’t present. I no longer wanted to be that. So who did I want to be? I wanted to be someone that made an impact. Not just in the area of their health but also in the life. I wanted to be someone that touched, moved and inspired people. Who did I want to be, not just my why, because I have had the same why most of my life and I thought while I was working those 70 hour weeks, I thought I was working toward my why? I hope you enjoyed this blog post, if you did please click on the link on this page to subscribe. If you found this video through Youtube then please visit my blog site at AIMHighWithKeith.com and subscribe. I would love to talk with you about what you REALLY want out of life. I would love to show you how you can make it a reality so you can become what you think about most. If you were not getting paid for the work you do right now would you still do it. What would it mean to you if over the next 12 months your job was just an option? What would that mean to you? How would that make you feel? Maybe you have a job you love and you wouldn’t want to leave that job but what would it mean if it was just an option. If you had plenty of money in the bank, would you still continue to do it? My goal is to help you; give you strategies; teach you a duplicable system to have that option 12 months from now. Notice folks I’m saying in the next 12 months. What I will share with you can absolutely change your life if you choose for it to, but its not going to change your life tomorrow. This isn’t some crazy get rich quick, honey we won the lottery thing, I’m just telling you what I’m going to share with you, if you just take it and really run with it, it can change your life. I hope Dec 2014 you look back at this video and you say that this is where my life changed. I see all the hype out there, all the programs that boast, “I made $30,000 in my first 48 hours,” it’s just bologna, stop it already, we are a profession not a sideshow, this is a profession, don’t fall for the phony get rich quick schemes. I want to share with you a business system that will work now, will work next week, next month, next year, the year after, so a year from now your “working” will be an option.